Jalan USJ 25/1, Subang Jaya, Kuala Lumpur, Malaysia. 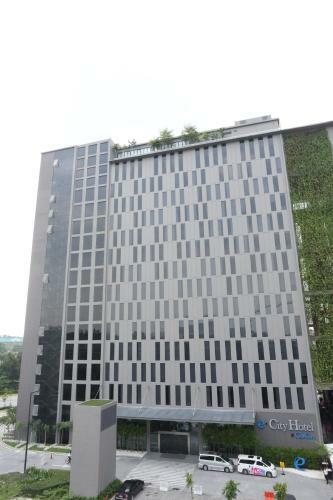 e.City Hotel@OneCity is a stylish property located in Subang Jaya. It features an outdoor swimming pool, a fitness centre and complimentary WiFi access. Shopping @ OneCity. e·City Hotel Rooms. Events @ e·City Hotel. Room Promotion. * Terms and conditions apply. view now. Copyright © 2015 e·City Hotel. e.City Hotel @ One City in Subang Jaya, Malaysia | Reserve online and get instant confirmation. Hotel Type, City / Business Hotel. Address 1, Ground Floor, MCT Tower, One City . Address 2, Jalan USJ 25/1A. Postcode, 47650. City / Province, Subang Jaya.